Usually the starting point of your wedding planning! It’s perhaps one of the most time-consuming elements, researching the area, where’s available, the facilities and size – and then finally the viewings. This month we are delighted to feature our Professional Venue members. The Caledonian Club, located in London between Knightsbridge and Mayfair offers the perfect venue to celebrate the festive season with colleagues, friends and family. From the intimate Card Room that can accommodate 10 for a seated dinner to the impressive Johnnie Walker Room with a capacity of 250 for a standing reception – The Caledonian Club offers a fabulous location to revel in style. Menus start from £26.50 pp and can be tailor-made to suit. Please contact the team on banqueting@caledonianclub.com for availability or head to www.caledonianclub.com for an online tour of the Club. With peak wedding season in full swing at Deer Park Country House we were over the moon to grab a rare spare moment to catch up with Wedding Co-Ordinator Kate. Congratulations on your recent engagement Kate and thanks for giving us a bit of your time to get a glimpse into how your husband to be (Will) popped the question and some of the details of you’re the planning and preparation that’s happening for your big day. How have you approached the planning of your wedding? I’m fortunate enough to have been involved in the planning of lots of special days in my role as wedding co-ordinator here at Deer Park so I’ve learnt a lot. The venue – why did you choose Deer Park Country House? Some think it is a bit strange that Will and I have chosen to get married where I work but for us, it is the perfect venue and there was no competition. It’s so dynamic! From the cosy relaxed feel of the house, the beautiful botanical orangery that is flooded with natural light, through to stunning features like the sweeping staircase, the house provides the perfect canvas to make the dreams of every bride a reality. Combine that with the friendly service and dedication of the team and it really does tick all of the boxes. Strangely enough, I’d always dreamt of a Spring/Summer wedding, that was until I experienced Deer Park at Christmas time. Once this happened there was no question that was the right time of year for the magical wedding Will and I are dreaming of. The classic mid-century modern look is suddenly everywhere, and with good reason. 66 Portland Place, with its stunning Grade II* interiors and 1930s architectural details, is the perfect venue for a chic Art Deco style wedding. Home to the Royal Institute of British Architects, the award-winning venues team at 66 Portland Place have developed a reputation for delivering exceptional events, time after time. Perfect for anything from intimate wedding breakfasts to full-blown receptions of 400 guests, 66 Portland Place boasts roof terraces, gorgeous rooms with floor-to-ceiling windows, and a prestigious Marylebone postcode. Call (0)20 7307 3888 or contact venues@riba.org to discuss your wedding with a member of the RIBA’s expert team. 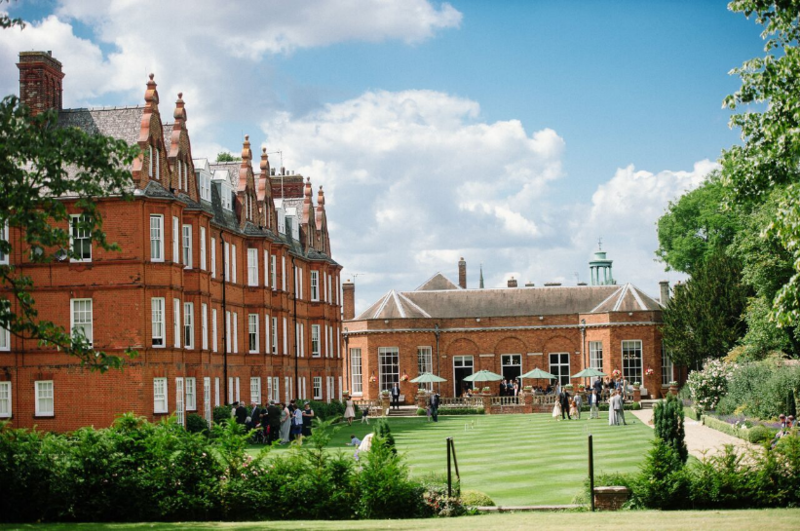 The Jockey Club Rooms is a members club in the heart of Newmarket, in Suffolk, just 1 ½ hours from London and 15 minutes from Cambridge by road. A luxurious, private and exclusive venue for weddings throughout the year, The Jockey Club Rooms has 21 bedrooms available for guests to use, including a stunning bridal suite overlooking the lawn. One of the first NAWP events was hosted over 24 hours at The Club for luxury wedding professionals in March 2016, hosted in conjunction with Armorial, Bentley Motors and Paula Pryke and many more of the very best wedding suppliers the UK has to offer. The Club is beautiful but what makes it really special is the team, from our in-house Wedding Coordinator through to our friendly door person and our fun and highly professional front of house team, and everyone in between. This magnificent 11th century castle is enclosed by a 60-foot-high curtain wall and open portcullis behind which you will discover an enchanting hotel offering the highest standards of food and service. All the bedrooms have the luxurious facilities you would expect from a country house hotel and history encompasses every part of this wonderful building. The gardens and grounds offer a superb backdrop to help create lasting memories of a perfect wedding day and our resident white peacocks which roam the grounds, complete the picture. 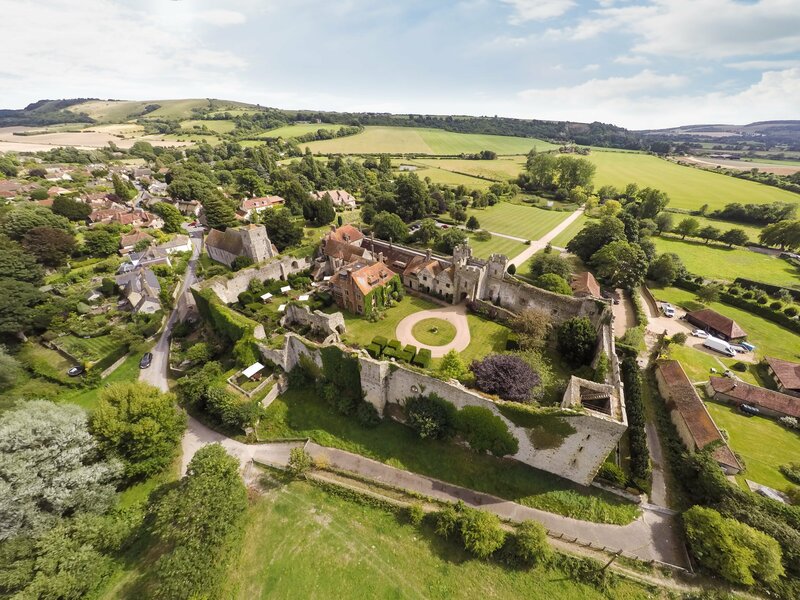 Tailored dining, a highly flexible service culture and elegant spaces flooded with sunlight make Amberley Castle the perfect environment to bring your Brides dreams to life. With three beautiful sitting rooms, the Great Room for an indoor ceremony, the Queens Room for the wedding breakfast and several garden options for an outside ceremony, Amberley creates a stunning flow for the day and any evening celebrations. There are also three MQ options that raise the guest numbers from 57 in the Castle to over 220 and coupled with a superb site for Fireworks over the Lake, our dedicated team will ensure that you start your married life together filled magic and romance. Your guests will be wowed the second they drive up our tree-lined drive and see the spectacular Chicheley Hall as it comes into view. Our stunning Georgian country house is the perfect setting for you and your guests to enjoy for the whole day. The beautiful, landscaped surroundings, paired with the striking building, provide the perfect backdrops for your special wedding shots to keep for a lifetime. You can choose between the traditional Main House and the modern Wolfson Centre for your special day. Both buildings are licensed to hold civil ceremonies so you can spend your whole day at Chicheley Hall. We can accommodate up to 100 guests for a romantic ceremony and wedding breakfast with a capacity of 150 or the evening festivities. Our staff at Chicheley Hall will ensure your day is perfect for you and your guests, from our great reviews on food and operational service, your wedding will be talked about for years to come. I will be your dedicated wedding coordinator throughout the whole process and I really look forward to meeting you and chatting through your unique day. Dartington Hall, the largest medieval manor house in the West of England, boasts 5 licensed ceremony rooms accommodating 40 wedding guests for intimate ceremonies and up to 120 of your guests in either the impressive Upper Gatehouse or for outdoor ceremonies, the Loggia, within our Grade II* listed Private Garden. Our 50 four-star Courtyard bedrooms offer a mix of heritage and comfort for your guests. Beyond the 14th-century Gatehouse oak doors sits Dartington Hall, steeped in history and culture. Experience the breath-taking manicured courtyard, the cobbles beneath your feet and the scent of the fragrant flower beds. The magnificent Great Hall with original leaded windows and oak hammer beams provides the perfect backdrop for your wedding breakfast for between 50 - 150 of your family and friends. Our Chefs are committed to providing you with a delicious wedding breakfast. We support local producers, some from our own estate, and offer only seasonal, locally sourced produce in our menus. At the heart of our 1200 acre estate sits our Grade II* listed gardens. With a rich sense of history and a host of features to explore providing the perfect backdrops for photo opportunities capturing the moment. If you want to know more, we have a dedicated team who are always ready to chat about your requirements. Just give us a call on 01803 847145 or email weddings@dartingtonhall.com.